With Readly you can read Wills & Kate: A Royal Love Story and thousands of other magazines on your tablet and smartphone. Get access to all with just one subscription. New releases and back issues – all included. 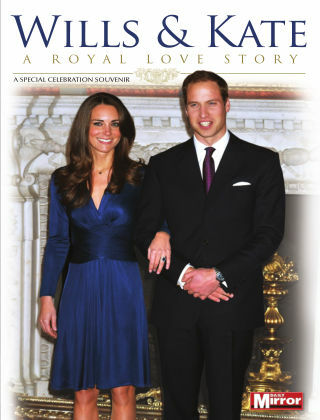 This Daily Mirror souvenir special celebrates the engagement of William and his long-term girlfriend, Kate Middleton. It documents his life in the public eye since his birth in 1982, through school and early royal duties, plus how he coped with the tragic loss of his mother when he was only 15. We see him growing up at university, where he met Kate, and going on to combine tireless charity work with training in the armed forces. This has led to a career as a search and rescue helicopter pilot for the RAF. The publication also shows how William s relationship with Kate has developed over the years up until their engagement, announced in November 2010.